You’ve Changed the World, and the World has Changed You. Now What? Today’s blog is sponsored by Antioch University Seattle and is written by Lauren Mehl, the executive assistant to Antioch’s president. 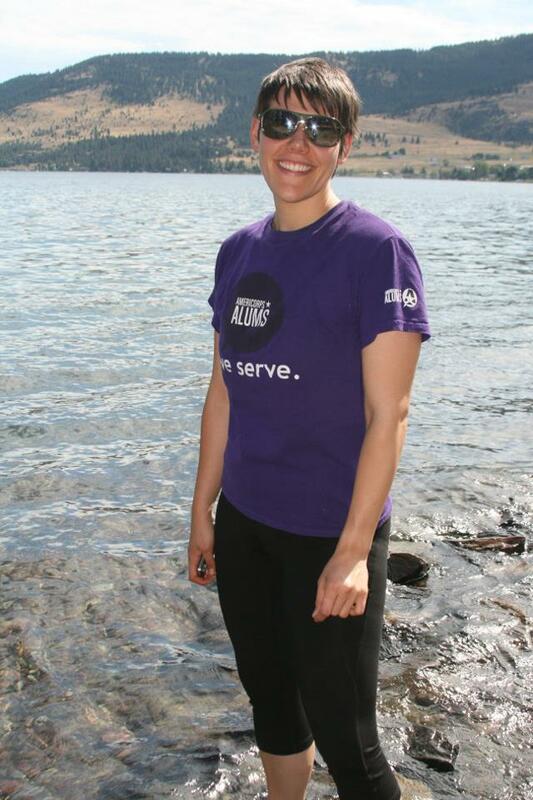 Lauren served with AmeriCorps from 2007-2008 in Seattle. Antioch University recognizes the important contributions alumni made through AmeriCorps service and offers two service-specific scholarships. The University honors that dedication to service by offering a Master’s degree in Management and Leadership designed to integrate the rich experiences and insights gained in AmeriCorps with new practical skills and knowledge designed to help AmeriCorps alums advance to their next career level. When I enrolled to serve with the Notre Dame AmeriCorps Seattle team at a tutoring center in a housing authority neighborhood, I really had no idea what I was getting into. In my service placement, I problem-solved, made mistakes, developed relationships and meaningful connections, and grew as a person and leader. The years I spent serving in AmeriCorps improved my self- confidence and set the course of my professional life. Since my time with AmeriCorps, I’ve been a director for an AmeriCorps team, spent two years as a housing manager for a nonprofit, and I currently work as the Executive Assistant to the President at Antioch University Seattle, a non-profit and fully accredited institution with a long history of being at the forefront of educational innovation and social justice. Here at AUS, my service experience has led to my involvement in launching a new Master’s program in Management and Leadership, designed specifically for those who have served in AmeriCorps, Peace Corps, the U.S. armed forces, and other service organizations. As someone who has been profoundly changed by the community I served during AmeriCorps, I’m proud to be a part of an education program that values my service experience, utilizes the skills and knowledge I gained, and leverages them to propel me on my career path. I have never been so ready to finally take the leap to earn my master’s degree, especially with a program that has benefiting others and the world at its heart. The program can be completed in only 18 months, is cohort-based with faculty and students who also have service backgrounds, has a residency curriculum (requires only one long weekend in-class per month), and includes internships that provide hands-on training and help students build their network in their preferred area of expertise. Knowing how important it is to stretch your hard-earned Segal Education Award dollars, Antioch University Seattle has several scholarships and other financial aid available, including two service-specific scholarships. Seattle is a vibrant, dynamic and growing city that leads in areas of technology, nonprofits, and sustainability. Seattle is also home to many of the largest and most influential philanthropic and service organizations in the world, including the Gates Foundation, PATH, World Vision, Global Partners, and many more. We’re having an online virtual info session on Wednesday, August 12 at 4:30 p.m. Pacific. Click here to RSVP. Please inquire and check our website for details. Thanks for sharing! I’m very interested in learning more. Universities and colleges that emphasize public service are the best kinds! I’m happy to see more and more of higher education recognizing world-changers.